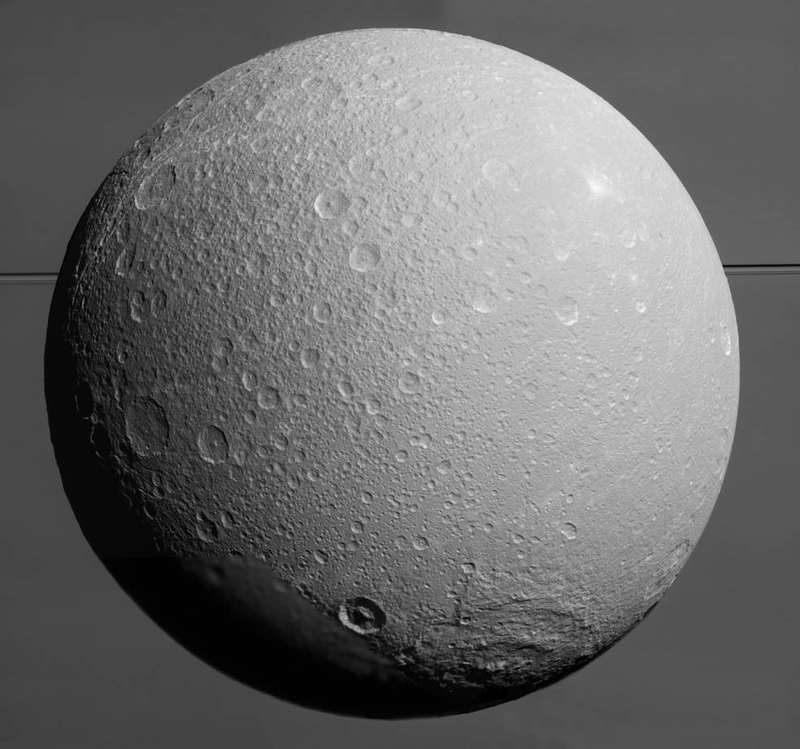 This week, the Cassini spacecraft made its fifth and final flyby of Dione, Saturn’s fourth-largest moon. This image, in which Saturn and its rings can be seen looming behind the moon, was captured in the leadup to the mission’s last close approach, on August 17, 2015. See the latest images of the flyby released by NASA here.